You will agree with me that timeis the most precious thing in our lives. Every living person of today tries tokeep and save the time, but it is not as easy as it supposed to be. Moreover,it is quite a challenge when there are a lot of things to do and complete. So,the question is if there are devices, tools, and gadgets that could make someroutine chores instead of us. Well, of course, there a lot of them.Modern technology had invented and developed many awesome things. They not onlysave our time but also keep safe our pocket and budget. In this article, weperform the top 5 awesome life-easing gadgets. Cleaning is an annoying process. Ittakes a lot of time, and the only thing you can after you finished cleaningyour home is watching the TV. Cleaning and vacuuming ask for physical strengthand plenty of time. So, why don’t you get a bot thatcould take over all your cleaning duties? A robotic vacuum cleaner is not as anew device as you thought it to be. It appeared quite a long time ago, and nowstep-by-step supplants the traditional vacuum cleaners because it eases thelife of its owner. So, how does it work? It worksautonomously. It has special sensors and brush-roll system, long-living batteryand active filters. You don’t need to participate in the cleaning process thedevice does everything by itself according to the schedule you put into itsprogram. 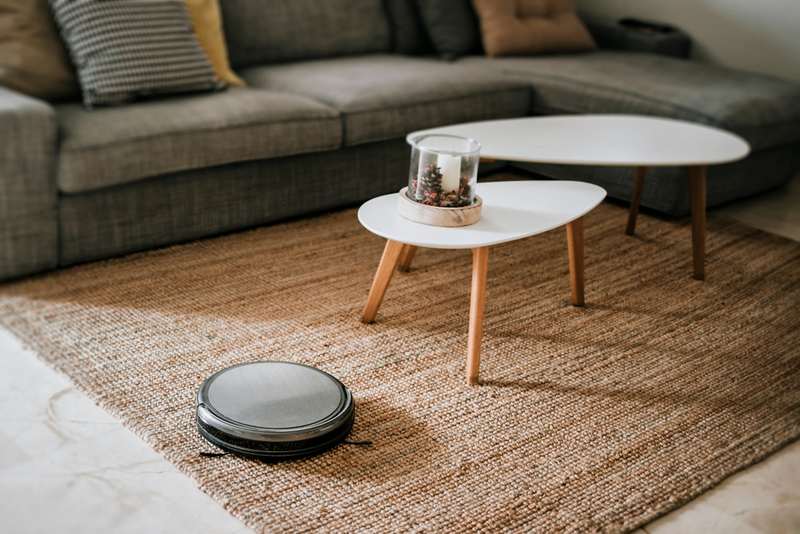 There are a lot of variations of the robotic vacuums; some performsignificantly on the carpets, other on the hardwood floors. There are alsoversatile robotic vacuums that do a great job on every surface. You can find afull description of the most popular robot vacuum models in this article. Washing windows is quite a challenge. It is not only dull but also hard andsometimes enraging when instead of the sparkling glass you get dirtystains. Luckily, there is a smart devicein the market that can take care of your windows, mirrors and other flat glassysurfaces. It is a robotic window washer. The device looks like a robotic vacuums cleaner. It has many in common with thevacuum, for example, autonomous work, recharging battery, and laser sensors fornavigation. But instead of the brush-roll, the device has cleaning pads andsqueeze. The only thing you have to do (except maintaining, of course) is toplace it on the window or other glassy surfaces you want to wash. The result will impress you anyway. You will save your time, will always haveclear windows and mirrors. The market is full of different models of the windowcleaners, so, you can find the one that fits your needs and budgetperfectly. There is one thing you can desire to save as strong as you wish to save yourtime. It’s your energy bills. Electricity plays a significant role in ourlives. To be honest, we won’t be able to live without it now. Our work,entertainment, living, etc. depend on it. And sometimes our energy bills arehigher than we wanted them to be. So, how to reduce them without reducing our needs? The answer is rather simple.First of all, you have to learn about Smart Lightning technology. The mostsignificant part of the energy bill is the bulb light. So, install the smartbulb to control the light level and intensity in your house. So, having suchbulbs installed you can control the whole lightning process with one tap of thefinger over the smartphone display. The most impressive thing about smart bulbs is not that they can be controlledremotely, but is that they can change light colors and shine with the color youprefer. When you are not in the room they will switch off automatically; youcan also control their brightness remotely. All of these can produce greatsaving for your pocket. Smart assistant or virtual assistant is a software installed on the gadget thatcan perform the tasks of different complexity by using the voice commands. Someof the smart assistants, can call the taxi for you, order pizza, find anyinformation on the internet, etc. The software can also behave itself like a human. With a virtual assistant, youcan control every smart device in your home. You can switch on or off thelightning, make a cup of coffee, start the vacuuming, etc. There are manyvirtual assistants performed in the market — for example, Amazon Alexa, Googleassistant, Siri, Alice, etc. So, you can always find the one you want to workwith. How to save your property from unwanted guests? Sure, you can’t be 100% certainthat your traditional mechanical lock does its best. That’s why you have tolearn more about so-called smart lock system. This system is an electronic lock using some wireless protocols andcryptographic keys to perform lock and unlock operations. The device isinstalled on the traditional mechanical lock as the upgrade. You can control itremotely, and no one except you and those to whom you gave your permission willopen it. In case of the unauthorized entrance, the smart lock will make an emergencycall to the police station and block the door. One of the most awesome featuresof this device is that you don’t need a physical key to open it. You can usesecret codes and trinkets. It was the top 5 list of the best awesome gadgets to make your life easier,save your time and money. Of course, this list as not as full as it could bebut to find more gadgets and devices, you can surf the internet.